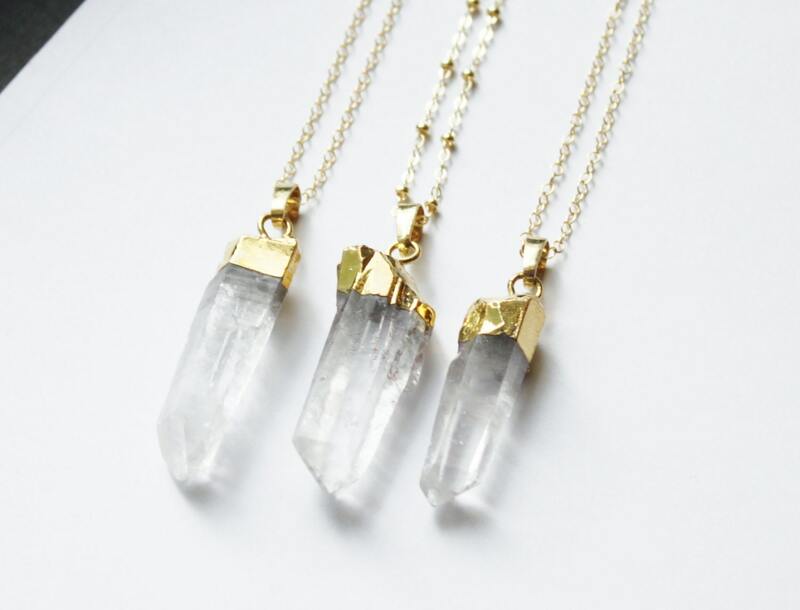 This long crystal necklace is the perfect amount of boho chic to any outfit. 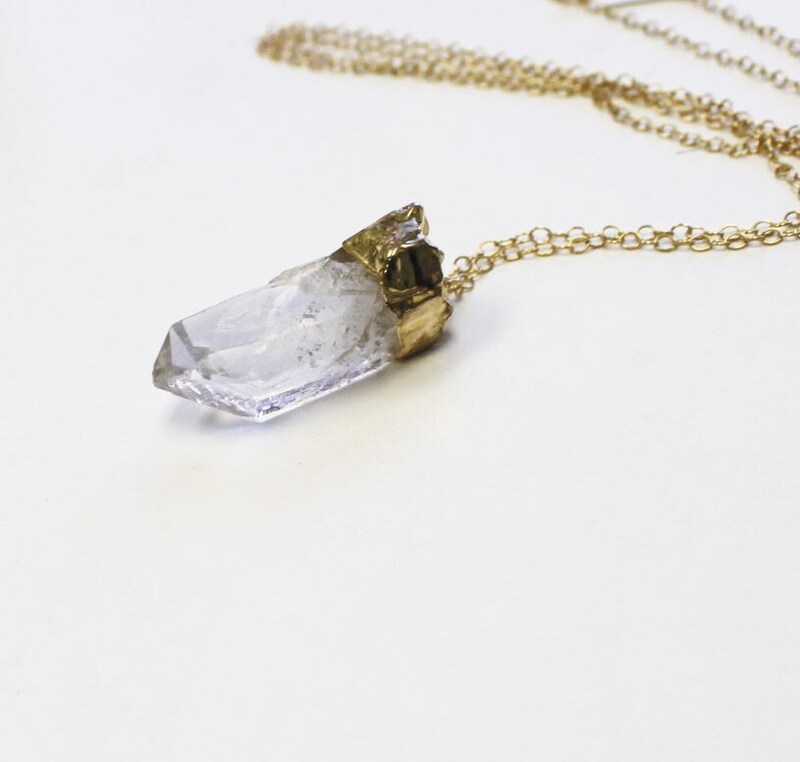 A large raw crystal pendant graces a 14kt gold filled chain, a little rustic and a little glam for the perfect versatile long necklace. 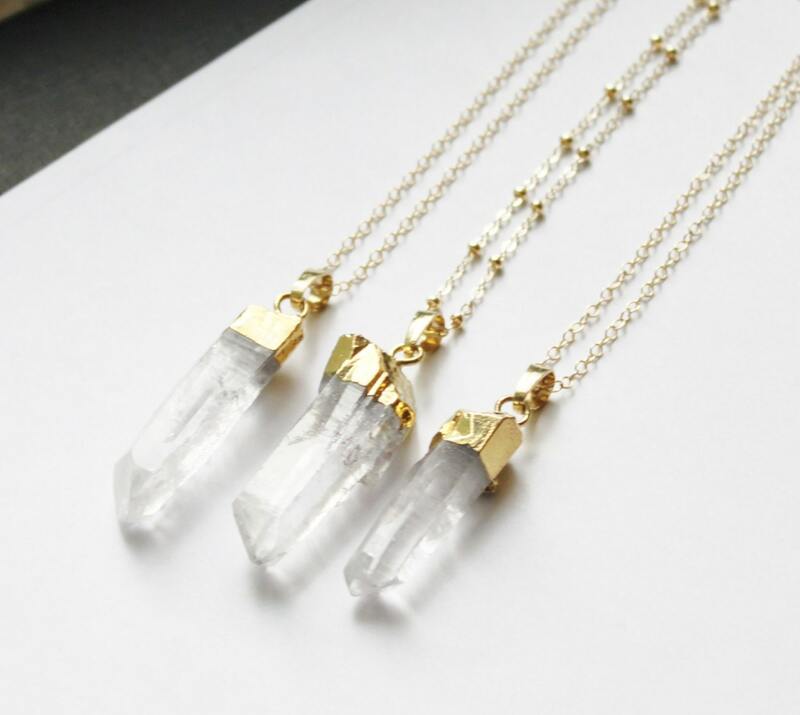 - Each pendant is different and varies slightly from the photo- these are natural and raw crystals that are perfectly imperfect. 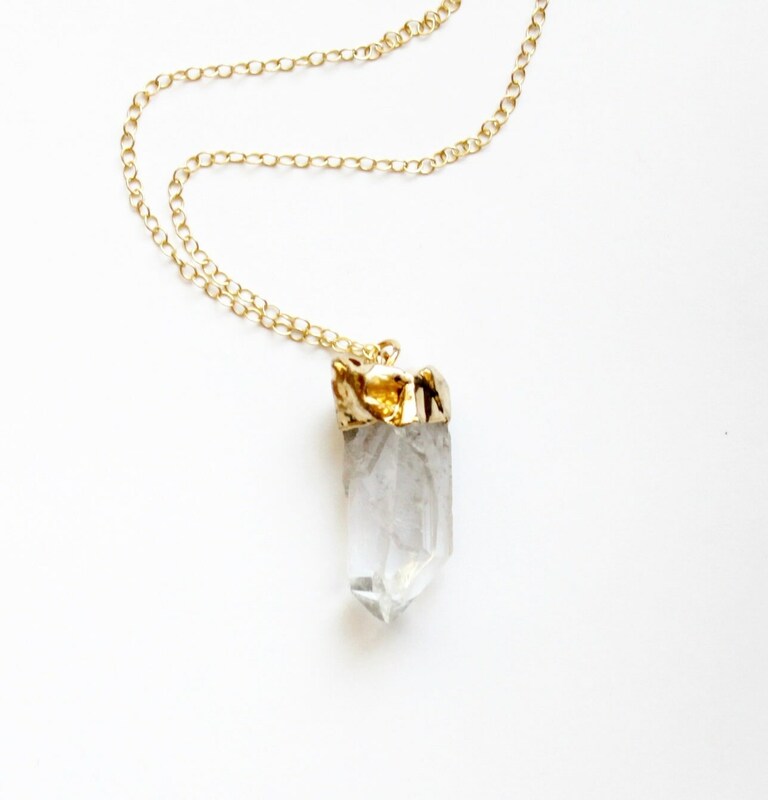 -14kt gold filled necklace in link or satellite chain. Choose 28, 30, or 32 inches. Petite hammered bar at 16"
Vertical 30mm bar at 18"
Nice weighty crystal, next time I'll choose the more substantial chain. There was a slight glitch initially where I was sent an incorrect item, but the shop went above and beyond to make things right. 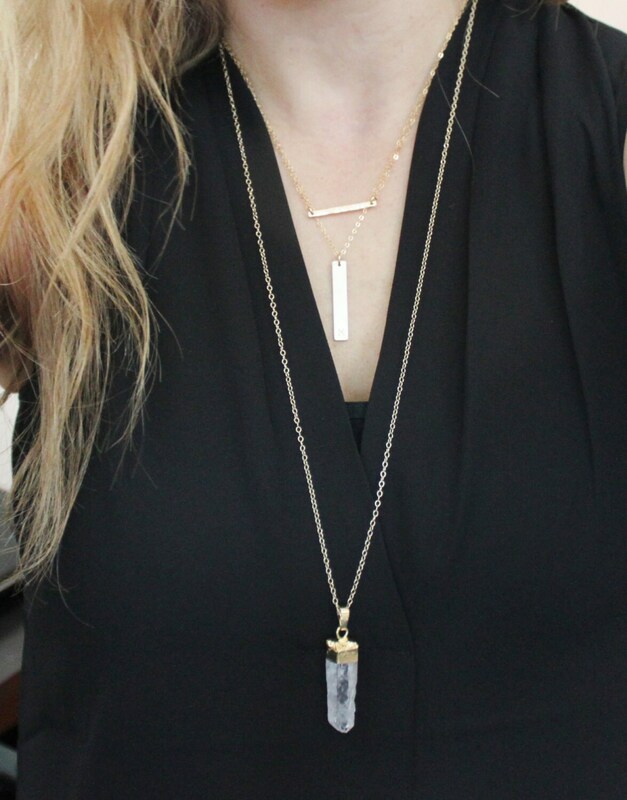 The necklace is beautiful!